What Are The Fees You Must Consider When You Hire A Tech Speaker? So you want to hire a tech speaker to dazzle the crowd at your upcoming conference or internal meeting. Great! Now what? For starters, you need to determine what budget you can allocate for this speaker so you can narrow your search to only speakers that fit in and around your budget range. This saves time and effort for your planning team and outside agencies like Celebrity Speakers Bureau who are assisting in the search. 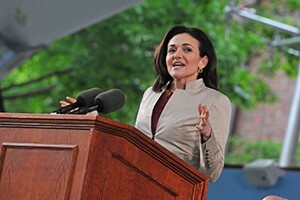 Outside of tech titans like Sheryl Sandberg and Evan Spiegel who review each appearance opportunity on a case-by-case basis, most all tech speakers for hire have a rate card for certain types of appearances including keynotes for non-profit and for-profit companies. When finding out the exact fees for the desired keynote speakers on your list, make sure you ask the agency you are working with if they represent the talent exclusively or if there is an agency fee that will be required on top of the speaker’s net fee. Some agencies like to hide their fee in the total number so they can maximize their commission without your knowledge. Be weary of these types of agencies! You want to do business with someone who is fully transparent from fee discussions to contract execution, and has your best interests in mind when it comes to saving you money on speaker fees. When you hire a tech speaker, unfortunately they can’t just teleport to your event and back. Maybe in the next few decades! But not yet. So this means you will be responsible for all transportation getting your speaker and any necessary assistants from their location to your event and back via plane and/or car service. If they will be coming in a day before or staying overnight after the event, you will also be responsible for hotel accommodations for the duration of their stay. A good place to start is determining where the event venue is in relation to your celebrity tech speaker. Does your speaker live in another city? If your event is in the Silicon Valley region, you’re in a goldmine of tech experts. But if your event takes place in New York, maybe you want to narrow your search to find someone local, like June Cohen at TED Media. 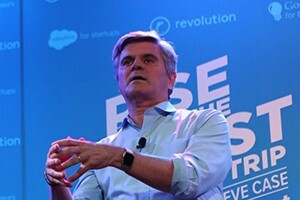 If you’re heading up to Washington, D.C., you may consider local tech speaker Steve Case, Co-Founder of AOL, who’s taken an interest in tech companies outside the Silicon Valley. Lastly, everyone has to eat and that includes your celebrity tech guru! Make sure to have either a per diem set up for your speaker or else be prepared for to provide necessary meals via hotel room service or a local food establishment. Let’s talk about the location itself. A venue’s cost is likely already accounted for in your budget, but what will the actual speaker require? Some tech speakers will require a way to display a powerpoint presentation tied to their speech while others may simply prefer a standard podium and lav mic. Questions you need to ask yourself when looking to hire a tech speaker include: What type of equipment will your chosen speaker require? Do you have easy access to this equipment? Will you need to rent a presentation system? Will that equipment already be available through the venue, or do you need to get it on your own and of course transport it, all on your dime? Don’t forget everything needs to be returned, too. 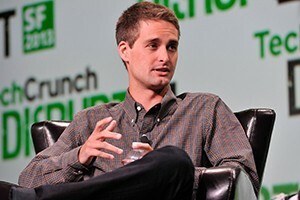 If your tech speaker does require equipment, who will operate it? If it’s complex, you may need to hire a contractor or your event venue may provide their own tech team to assist with the execution of your event. Make sure to bring this up with your speaker booking agent when working through your event planning stages. Promotion is the name of the game. Your speaker may have a new book they want to sell or another new product that ties in with your event. Maybe YOU have a new product that you want your speaker to demonstrate. The question is, are you giving anything away? Freebies are always crowd pleasers at events, but what’s free for the crowd might not be free to you. Will you need to buy some of the speaker’s books or products? Can you get them at a wholesale rate? If you’re giving away your own product, it’s still an expense, even if an internal cost. Nothing is truly free after all. But! This can be an excellent alternate payment for your tech speaker. Don’t rule anything out, and remember, everyone is open to a certain level of negotiation. It’s true, events have a ton of details, and with those details come fees. But it’s our business to help make sure your speaker is doing exactly what you want, how you want it. With Celebrity Speakers Bureau, we can keep the expenses down and help you streamline your event to make sure you, your celebrity speaker and your audience go home happy. Have more questions? Contact us! We’re happy to talk through your speaker options, determine availability, and guide you through every step of the process. Fees are part of the deal, but when you get in touch with our speaker booking agents, they won’t be the nightmare you may imagine. Let’s talk!